but all I get is some dark-green sphere. 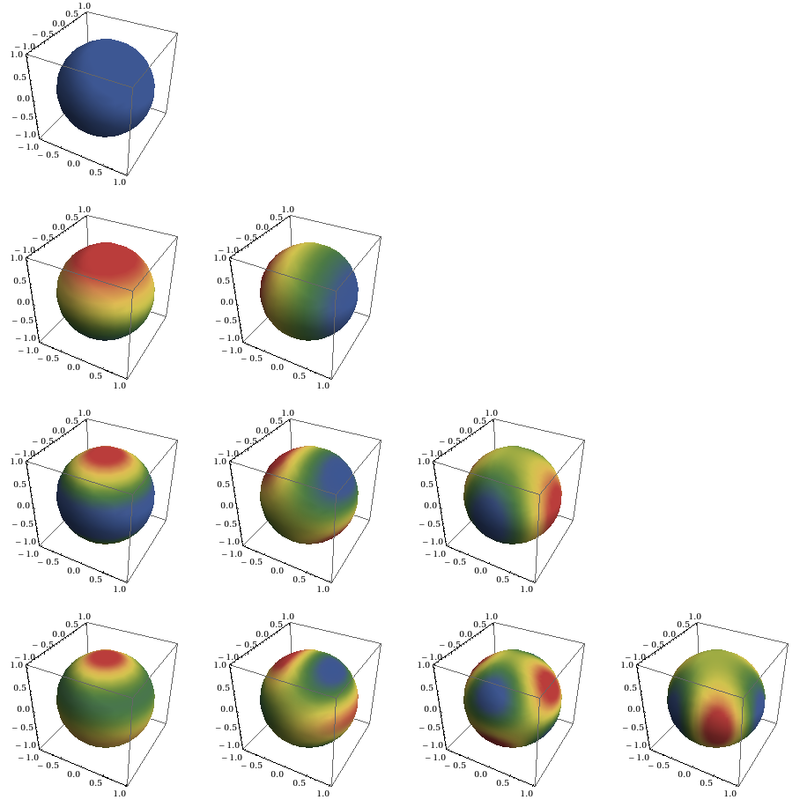 Is there a function like SphericalDensityPlot so that I can illustrate the functions? Also, a big problem I'm running into is the ambient lighting direction, which interferes with what it's supposed to look like. Instead of individually controlling the RGB colors, which is much harder, use the output of your function (a scalar) as the input to some color function. You should check out some of the related Demonstrations. This is my version - a close reproduction of Wikipedia figures found on this page. 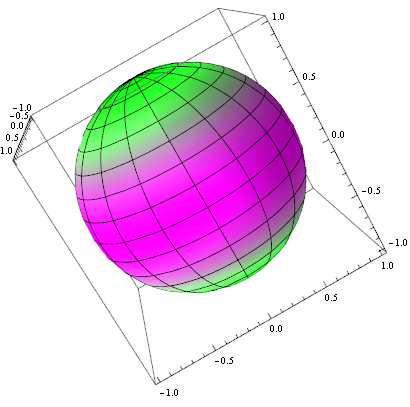 Note, $l \geq |m|$ conditions is imposed. The code is below the image. 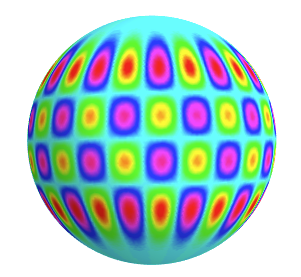 An alternative to R.M's method that became available in version eight is the Texture directive, which allows one to wrap textures on surfaces. 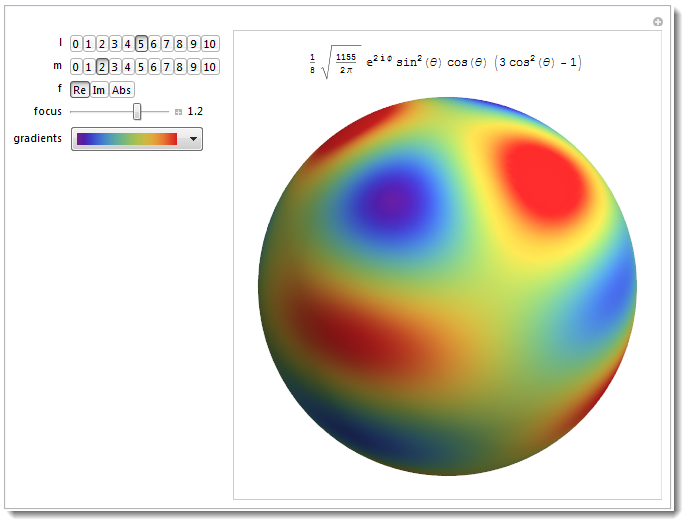 For this application, we can wrap the output of DensityPlot (after some post-processing with Image) on a sphere. 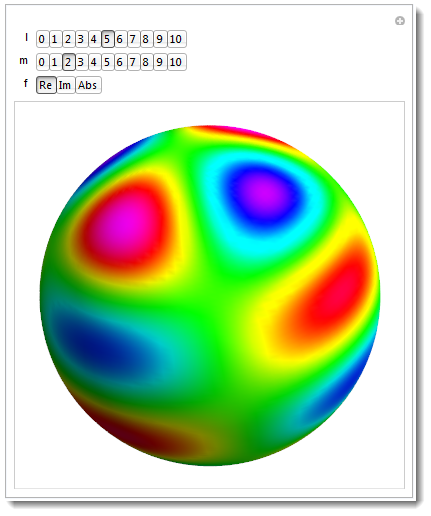 One benefit to this approach is that DensityPlot takes care of scaling the spherical harmonics before feeding their values to the ColorFunction. Note the use of Lighting -> "Neutral" so that all lights used for the surface are white. 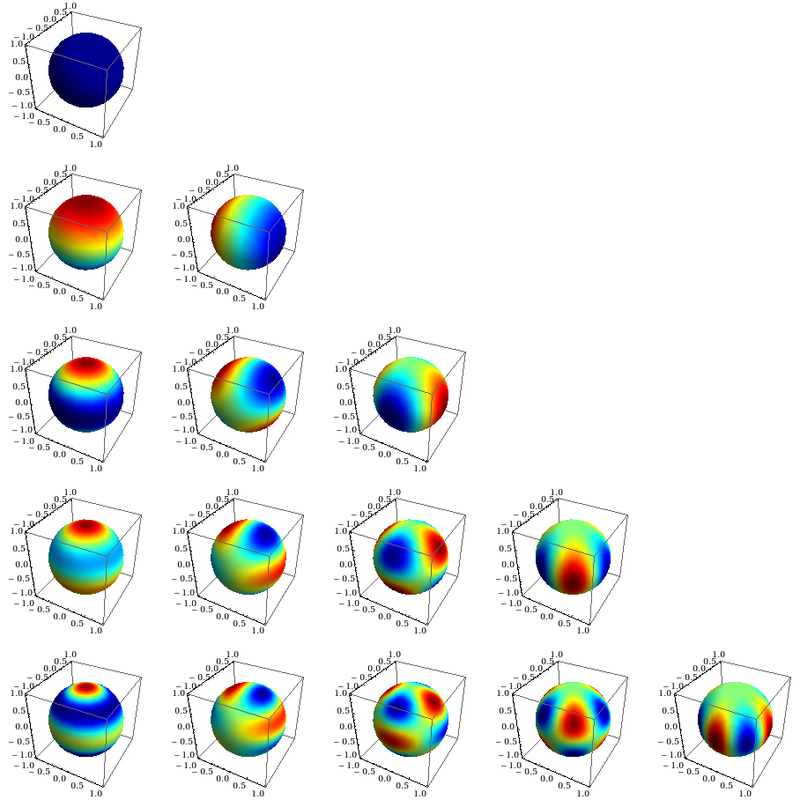 Is there a function like SphericalDensityPlot so that I can illustrate the functions? 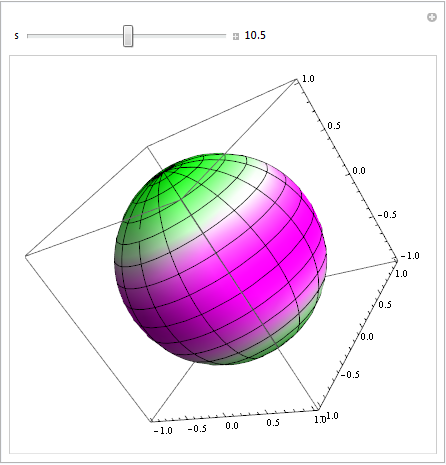 Plotting a distribution of charge into a sphere? 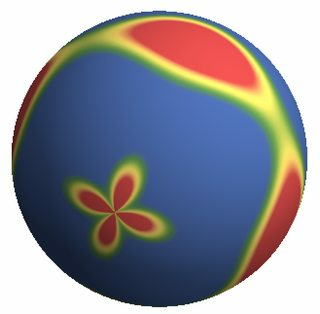 How to draw Fractal images of iteration functions on the Riemann sphere?